Built as a destroyer under yard no 4603 by Litton Ingalls, Pascagoula, Mississippi for the USA Navy. 12 February 1979 laid down as USS NADER. Powered by four General Electric LM2500-30 gas turbines, 80,000 shp, speed 33 knots. Armament: 2 – Mark 26 RIM-66 Standard missile launchers, 2 – Mark 141 quad launchers with 8 – RGM-84 Harpoon. 2 Mark 15 20mm Phalanx CIWS, 2- Mark 45.5 inch. 54 caliber gun and 2 – Mark 32 triple tube mounts with 6 Mark 46 torpedoes. Carried one SH-3 Sea King or two SH-2 Seasprite helicopters. Crew 31 officers and 332 enlisted. USS SCOTT (DDG-995) was a Kidd-class destroyer of the United States Navy. She was named for Rear Admiral Norman SCOTT, who was killed during a surface action at the First Naval Battle of Guadalcanal (sometimes referred to as the Battle of Friday the 13th) aboard USS ATLANTA , winning a posthumous Medal of Honor for his actions. Originally named NADER, SCOTT was ordered by the Shah of Iran, but was undelivered at the time of the Iranian Revolution and the U.S. Navy elected to commission her and her sister ships for service in the Persian Gulf. The destroyers were equipped with heavy-duty air conditioning and were also well suited to filtering sand and the results from NBC warfare. She was commissioned in 1981. SCOTT completed a major re-fit in Philadelphia in 1988 that focused on upgrading its radar and fire control tracking system. SCOTT was decommissioned from the U.S. Navy on 10 December 1998. SCOTT was sold to the Republic of China in 2004, originally to be named CHI TE. 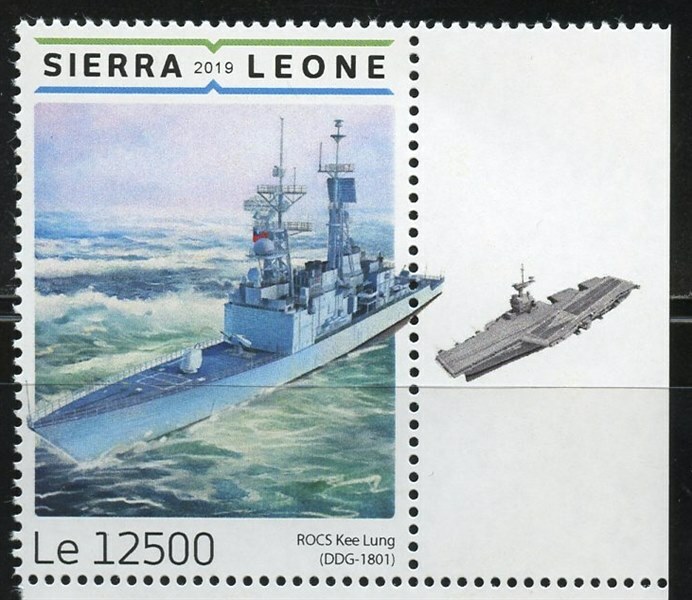 However, due to her better storage condition than her sister ships, she became the first Kidd class vessel to be commissioned by the Republic of China Navy (ROCN) and thus became ROCS KEE LUNG (DDG-1801), the lead vessel of the new ROCN Kee Lung-class destroyers. 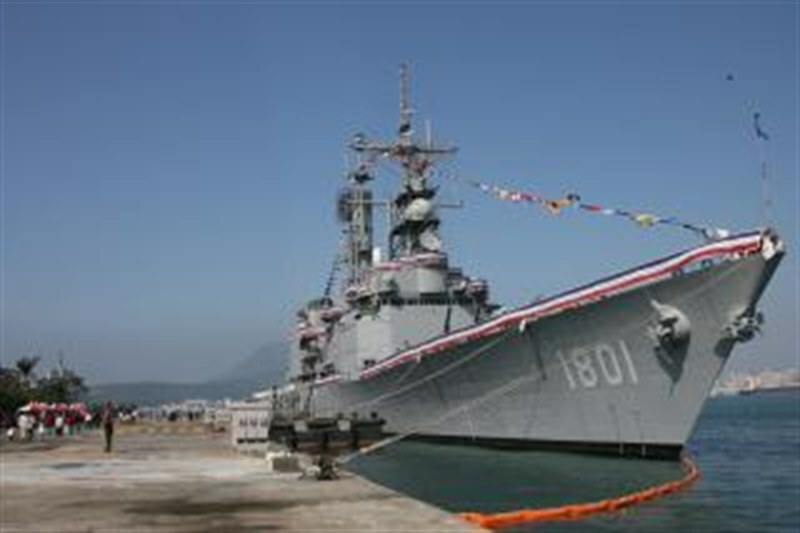 After almost two years of refit and training in the U.S., the KEE LUNG was commissioned on 17 December 2005 at Keelung naval port in northern Taiwan. The ROCN paid just over $690 million for the four Kidd-class destroyers, giving it extensive AAW capabilities. ROCS KEE LUNG (DDG-1801) is the lead ship of her class of guided-missile destroyers currently in active service of Republic of China Navy. Under Taiwan flag: Displacement: 7,289 tons standard. While KEE LUNG is the lead ship of her class, she was actually not the first ship in her class built. KEE LUNG was formerly the American Kidd-class destroyer USS SCOTT (DDG-995), which was decommissioned by the United States Navy in 1998. SCOTT was sold to the Republic of China Navy along with the other three Kidd-class destroyers in 2001. SCOTT was then renamed to KEE LONG was the first of the four ships to be commissioned in the Republic of China Navy which made her the lead ship in the Republic of China Navy. Ironically, the USS KIDD (DDG-993), which was the original lead ship of the class, was also sold to the Republic of China Navy in 2006 and was renamed ROCS TSO YING (DDG-1803). For a period of time KEE LUNG was tentatively named CHI TEH a transliteration of KIDD into Chinese. But it was later decided to name her after the port of Keelung, a major naval port in northern Taiwan. KEE LUNG, along with her three sister ships, is the largest destroyer and second largest ship in displacement ever in Republic of China Navy service, only smaller than ROCS HSU HAI (LSD-193), a dock landing ship. KEE LUNG was re-fitted for service in the ROCN at Detyen's Shipyard in North Charleston, South Carolina. She was formally commissioned on 17 December 2005 along with sister ship ROCS SU AO (DDG-1802). Taiwan 2019 12500 Le sg?, Scott?